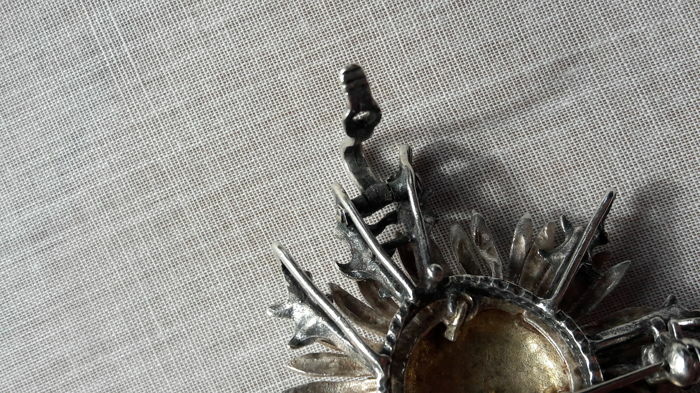 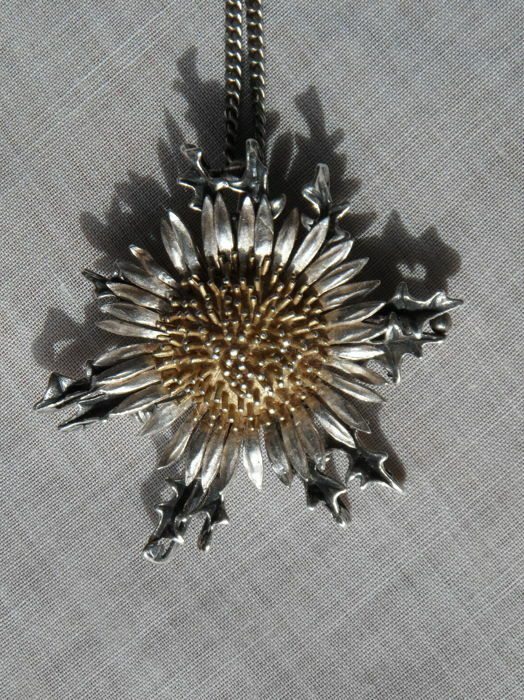 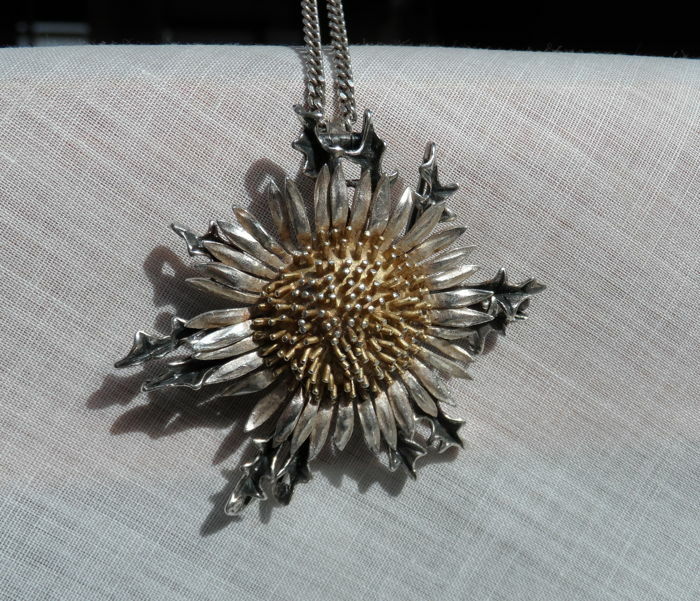 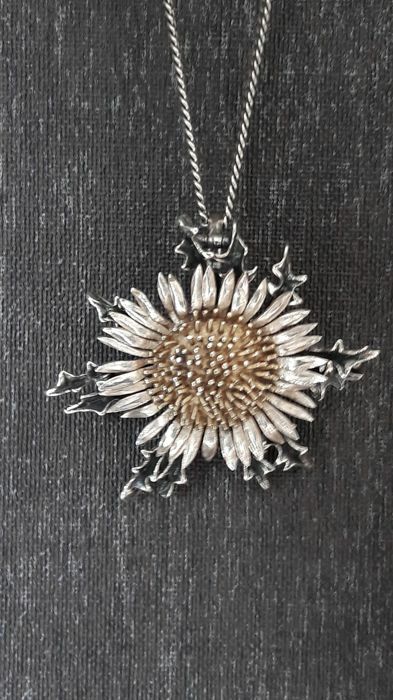 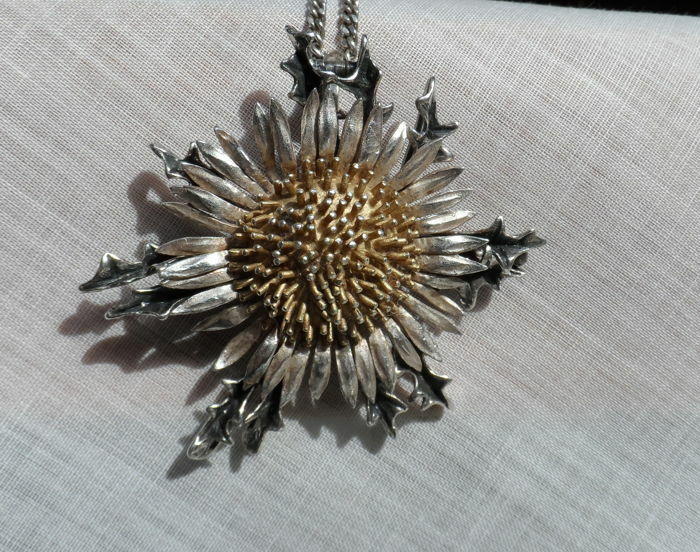 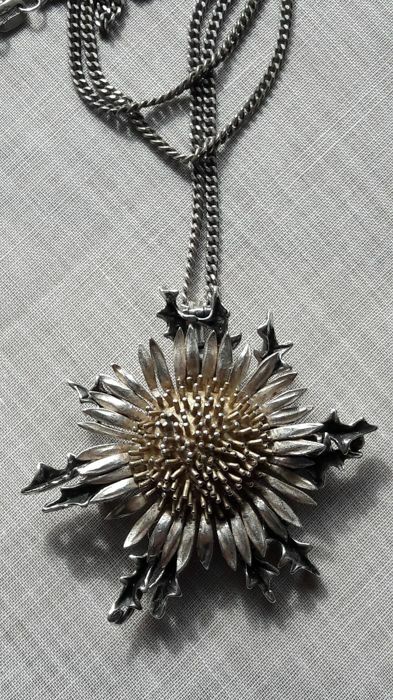 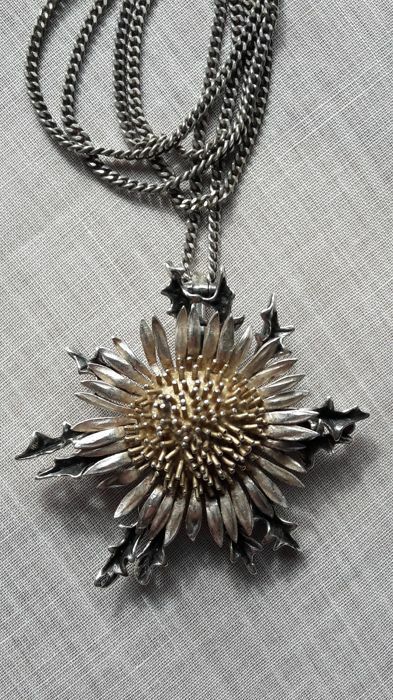 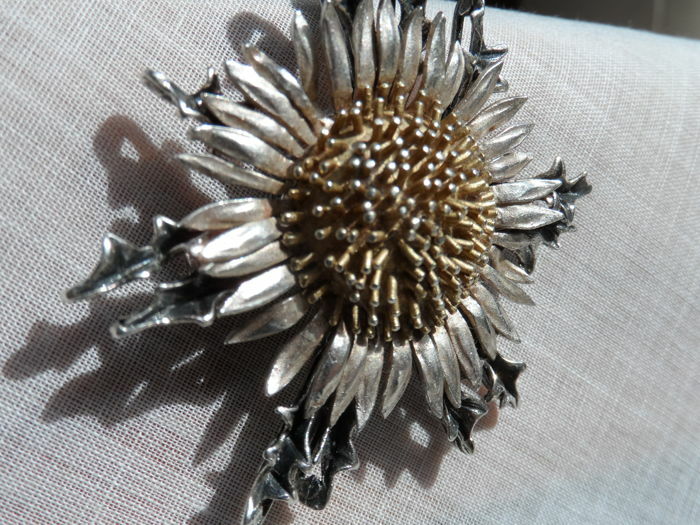 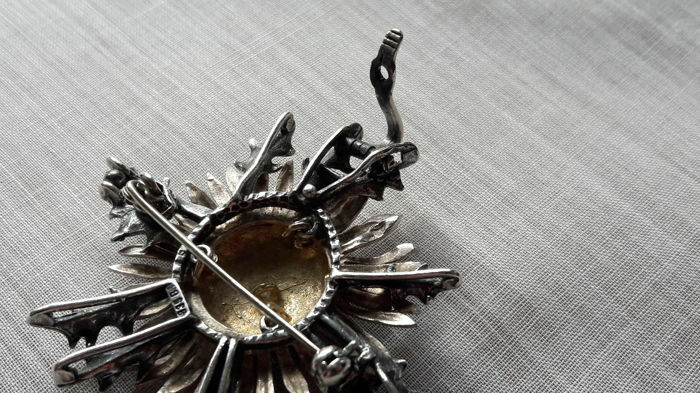 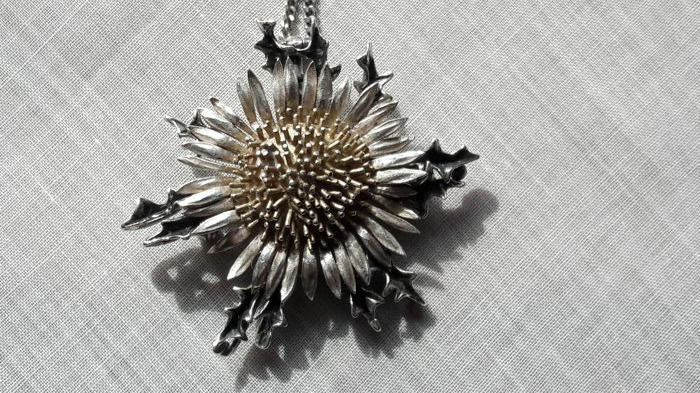 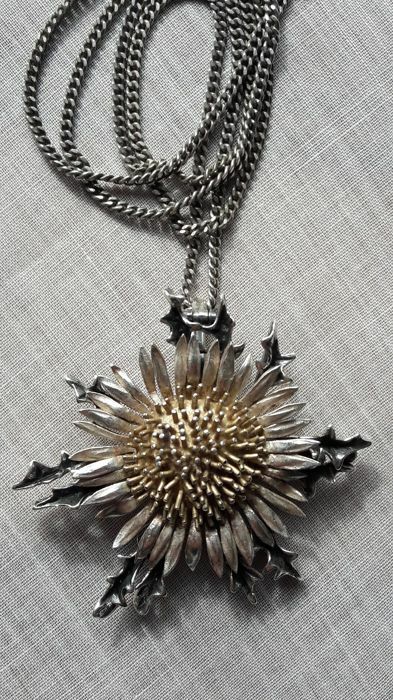 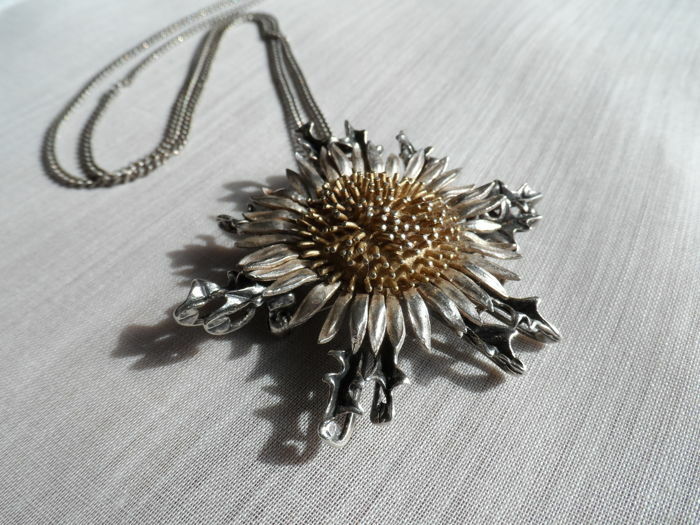 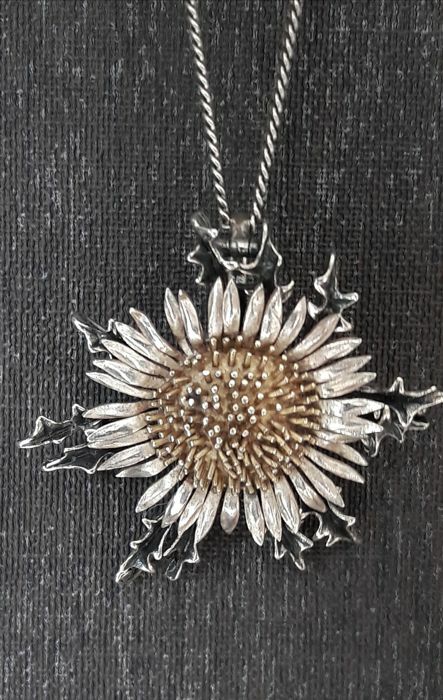 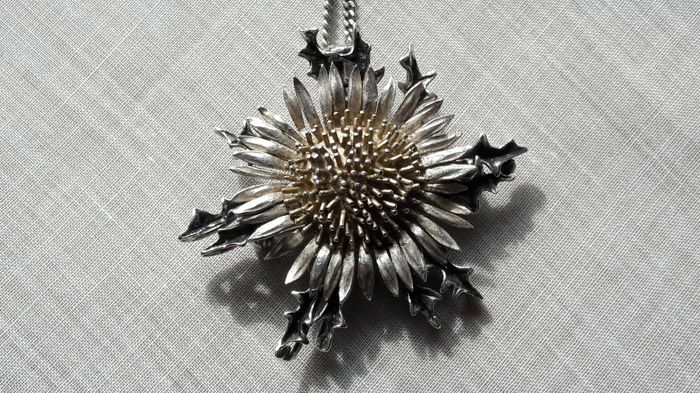 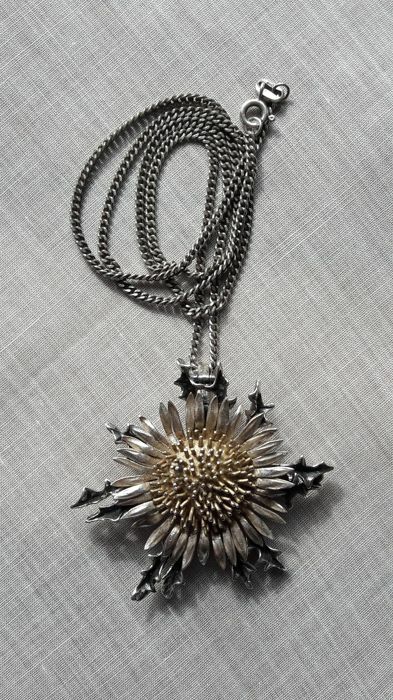 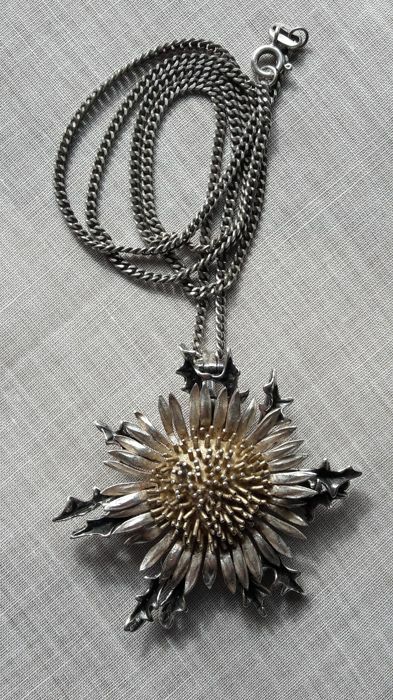 Beautiful silver flower pendant which can also be used as a brooch. 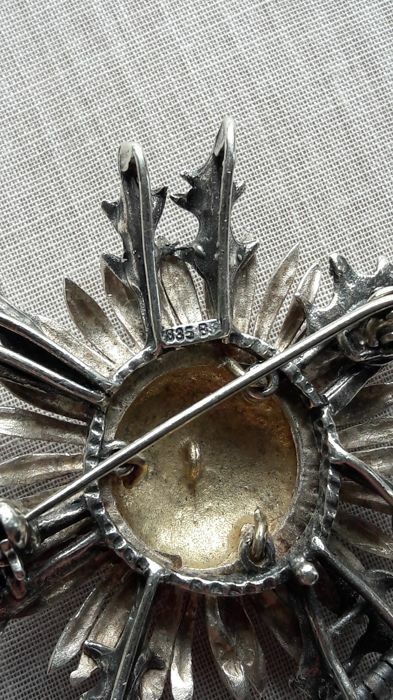 The pendant is marked with 835. 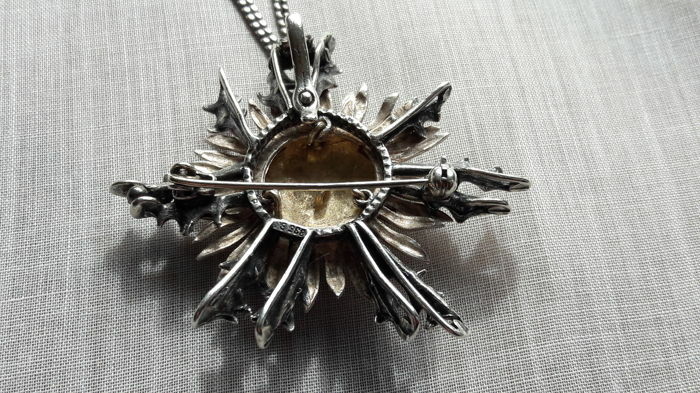 The necklace is marked with 925 and sword.